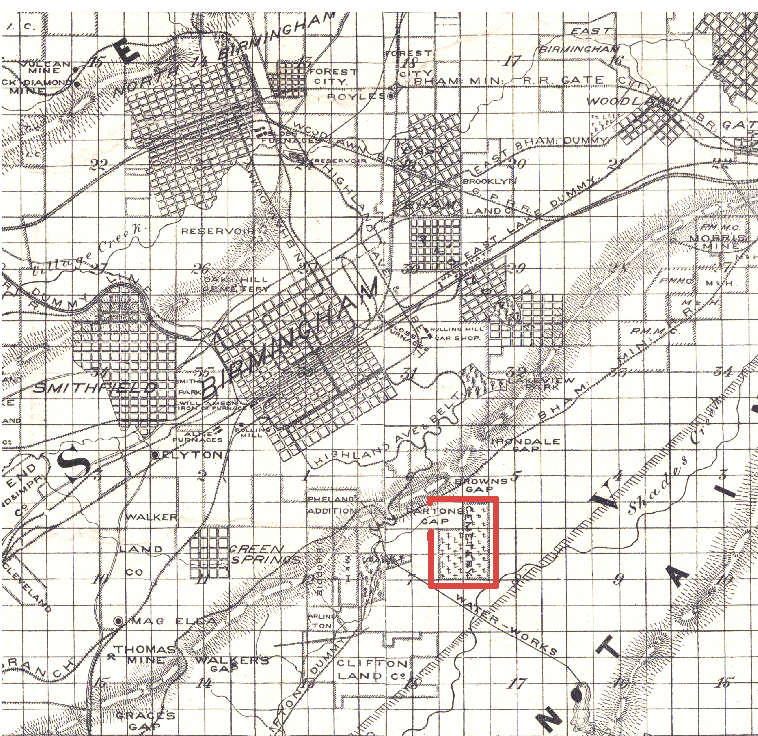 The land beneath homes and shopping centers in the community of Mountain Brook in Jefferson County, Alabama includes many historic sites, including a Revolutionary War soldiers farm and 4700 graves. The area has been inhabited since the 1820s. 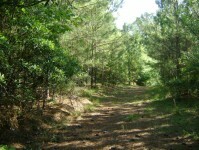 Originally, the area was known as Watkins Branch. After this story was published on Alabama Pioneers WIAT TV News investigated and did a story on the graves. 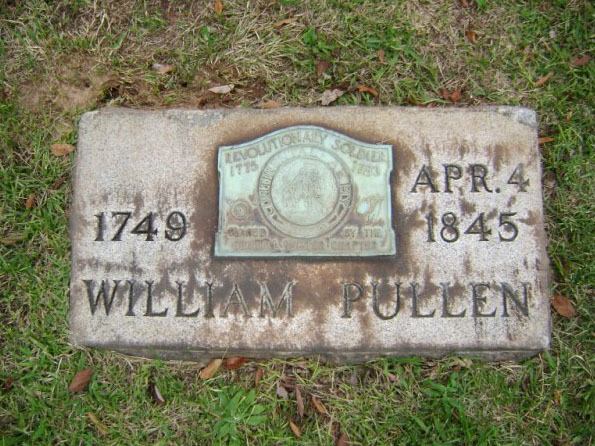 Revolutionary War soldier, William Pullen, received the land, which later became Lane Park, the Birmingham Zoo and the Birmingham Botantical Gardens, from the federal government for his services in 1822. Pullen served in the 14th Virginia Regiment and fought under George Washington’s command at the Battles of Brandywine and Germantown. He was among those encamped at Valley Forge in the winter of 1777-78, and later fought at Monmouth and Guilford Court House. He was said to have been personally acquainted with General Washington and to have visited him at Mount Vernon after the war. Pullen also served in the War of 1812. 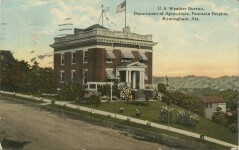 The land was a farm until 1889 when his heirs sold the land to the City of Birmingham in a series of transactions dating from 1889 to 1902. 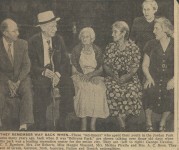 The first purchase, located on the west side of Cahaba Road was made by Mayor A. O. Lane and was dedicated as New Southside pauper’s cemetery in February 1893 where it continued until 1906. The cemetery was later named Red Mountain Cemetery. Many of the 4,700 graves were unmarked, but a few gravestones are still standing in the woods near Hermosa Drive where the former Shades Valley High School was located. A smallpox hospital was also built on the park property south of a quarry where curb-stones for 1st Avenue North were being mined. 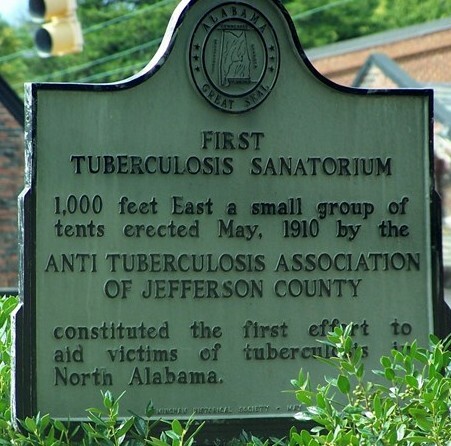 Tuberculosis was a major problem at the turn of the century so in 1910, a tent city to treat tuberculosis patients was erected where today’s English Village is located. 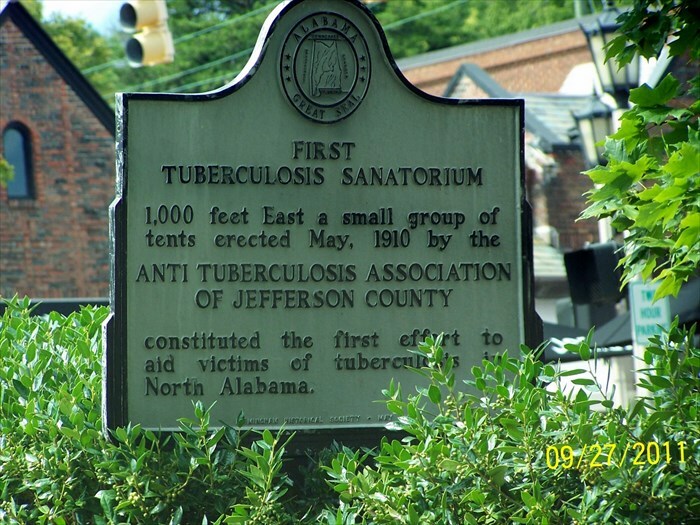 It was the first tuberculosis treatment center in North Alabama. 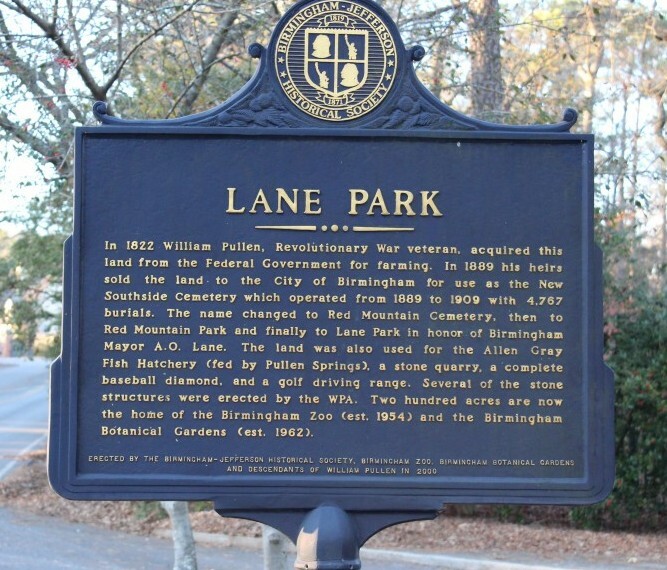 Finally, in 1934, Lane Park was built over the entire 200-acre site during the Great Depression as a Works Progress Administration project and named Lane Park in honor of Birmingham mayor A. O. Lane. The park also had a fishery, a stone quarry, a baseball diamond and a golf driving range at various time. Later a fish hatchery, lodge, and picnic shelters were built and remain at the Birmingham Zoo today. ALABAMA FOOTPRINTS Confrontation:: Lost & Forgotten Stories is a collection of lost and forgotten stories that reveals why and how the confrontation between the Native American population and settlers developed into the Creek-Indian War as well as stories of the bravery and heroism of participants from both sides. Every time I read similar stories it makes me wonder why we have cemeteries as man just builds over them 100 years later. Because just letting them rot in the public would have been pretty gross? Its nothing more than organic material. We can’t save all the cemeteries eventully after so long we would run out of room. Just makes one ponder spending thousands on a plot and a coffin. What’s the point if future generations will not respect it. “Archeology” is really just grave robbing. No matter how much money you spend, how big the headstone. You will be forgotten & turn to dirt. If someone puts a zoo on top of you 100 years later. You would not have a clue. Imagine all the graves that have stuff built over them 100s of years later. Its not really disrespectful because you were at least decayed & long forgotten by the point something is built on top your grave. Mankind’s need to be immortalized via marble slabs with your name is futile. Bio urns is the way to go. At least you can fertilize a tree. Before its chopped down to build something 100 or so years later. Lol honestly at what point do you stop being human remains & just regular dirt? I agree and that’s just one more reason I’m going to be cremated! The logic of your comment is unassailable. Thanks. At some point in time the world will make in mandatory to be cremated. And perhaps a cap on number of children people can have vs people today that have 10+-children just to get help from the government and others to take care of. That model needs to be stopped as there are other resource shortages as well which will be depleted if something is not done soon. I have the solution: cremated remains packed into large mortars (big-boy fireworks) and the state or county or whatever fires off that week’s dead every Saturday night. Just imagine that becoming part of our culture. James it seems we can more than animals at the zoo!! That…mmmm. Idk . Seems wrong to me! What a shame that these lives will never sleep in peace (earthy speaking) and be remembered! Are you kidding? I would love to be under a zoo. To be able to sit back and watch the awe of little children and animals. I would love it. It would definitely be peaceful to me. Same thing happened in Trussville with their football stadium. Just no respect for the ancestors. They are pretty much dirt now. Eventually we will run out of room to bury the dead. Its like recycling! 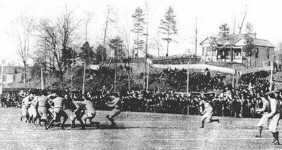 I’ve heard about some of the finds in Trussville which were hush hush so that the stadium could be built. No matter what was found progress would not be stopped. Same thing is happening now with $5 billion dollar northern Beltline with a indian shelter thousands of years old that is being destroyed for the sake of development. Watch some YouTube videos of what’s recently happened with memorial mound in Bessemer, al. Pretty much sums up how much people respect the dead. The building of the football stadium in Trussville was delayed over a year due to excavation. Numerous universities in the area were allowed to help properly excavate the site prior to building. What’s hush, hush about that? And how is that improperly handling? It’s my understanding all guidelines were followed. There are so many “forgotten” or abandoned cemeteries in Jefferson County. It is such a shame that we don’t have more respect for our dead. This area was inhabited for many hundreds of years before 1820. The north side of Red Mountain was a traditional burial ground for the original inhabitants. Where on the north side? My recollection is hazy. I worked on an article (nearly 30 years ago) about the tribes that bordered Jones Valley. The valley was very fertile and was fought over for so long that the tribes came to an understanding that it would serve everybody’s best interest if they shared the valley. Part of the agreement was that the north side of Red Mountain would be reserved as a burial “area.” I seem to remember that it included more than one part of the mountainside. I grew up on the North side of the mountain, in Forest Park. People have no respect for the dead anymore. In parts of Europe families stack coffins on top of each other when loved ones die in order to preserve space and to assure that future generations maintain the cemetery. It’s actually a good idea. But think how much joy has shared their space over the years. Very interesting. Sad that the graves were not given the proper respect. Just glad my name i z not in the book! Yet! Hopefully those buried will be in glory and not mind that their decencents and children are enjoying the area and animals , flowers . Families of the future . I didn’t think that was legal to do that. Called “desecration” ? 4700 graves! Wow! A lot of people were buried there. I didn’t know anything about this. I think that they moved a lot of graves during last major renovation. By this I mean relocated them. I believe they hired a specialist to locate graves and capture all contents and reburied them somewhere. I know this does not always happen but I think it should. Most of the graves were unmarked. mountain brook is literally built on the graves of the poor. wow. You’re all looking at this wrong. First of all most of these were pauper graves that no one visited or put flowers on or knew they were there. If that had been a large wooded area with lonely graves (many of them unmarked) would you ever visit there? Nope. Instead though people are there every day. Happy families and animals and gardens and its a place people enjoy. So if you believe that our shells of a body somehow have a conscious or appreciate what is going on around them after death, wouldn’t you rather have a botanical garden and zoo with happy people around your final resting place than a lonely unmarked grave in a an unkept area? It was originally the site of the areas first prison. Where the worst of the worst was sent. I’ve talked to several people that work there and seen some of the graves first hand. Most of the graves that I have seen. Clearly states what the people where charged with. And I’ve been told the reason for the zoo and botanical gardens choice for location was for the protection of the buried from desicration. Such a shame, looking under the zoo for your kin!!! How nice to see comments from one of the few wise comments noted. Her name: Jessica Tarwater! Wise young lady. VERY WISE, indeed! Not much more can be added by me. JESSICA TARWATER ! I can add nothing to her short thesis. Jessica is an area native? Gives a whole new meaning to Boo at the Zoo. Seen Poltergeist? Kinda gives “Boo at the Zoo” a whole new meaning. 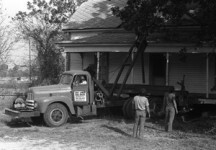 Is there a book about the Alabama coalminers from Birmingham and Walker counties? The author of that website takes lots of liberties with her statements, such as this quote, with no citation of its source, “The Birmingham Zoo, the Birmingham Botanical Gardens along with Evson Inc. Lane Parke development was built on top of the cemetery’s graves.” In searching Gary G. Gerlach’s book description I can’t find where he made that statement. 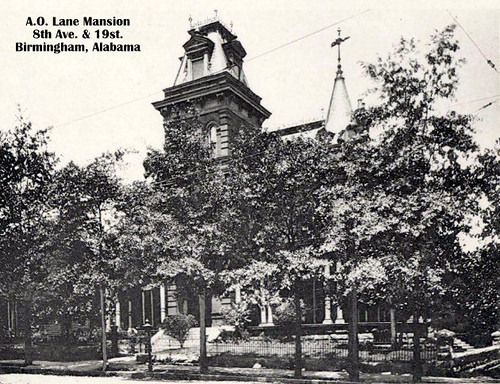 The large part of the cemetery was on the west side of Cahaba Road, and while some few burial sites have been found on the upper part of the Botanical Gardens, very very few have been found east of Park Lane. Again, there’s no citation for that statement, and very little evidence of truth. I’ve found other posts by Ms. Causey to be more of what I’d call “click attractions”, somewhat interesting for sure, but very little citation for some of her claims. quote is from Historic sites of Mountain Brook by SYDNEY CROMWELL August 25, 2014 – (see quote under Lane Park)No source were listed with the article but it was in quotes as you can see on the page. Village Living is published by Starnes Publishing LLC and states that it is Mountain Brook Alabama’s community newspaper. The story about the graves was also written in the article Birmingham Zoo Built Over Paupers’ Cemetery by Beverly Crider for al.com in 2012. It’s my family they are talking about. It feels good to walk where they walked. Most of the world is built on top of someone else’s gravesite. Shocking, I know. I wonder how deep the graves are. To show respect, just having a rose garden tilled could be an adventure. I lived about 200yards from the Commissary in the photos (Mulga), at one time it was a skating rink. (1968-69). I will have to look at my 1900 map and see what else I can find. This is crazy. It’s wrong! There is a partial list of who is buried there. Saw the list about 10 years ago. I had wondered why no one ever talked about this. I would love to have a zoo on top of my bones. Tatum Harrell Schroeder here’s exactly what I was talking about!! Hey I could also take Judy Dobbs ghost hunting with me !!! That would be so fun !!! How does someone ever justify building on top of an existing cemetery? That is just wrong. Lol Peggy Johnson not me, just send me a message. Well, this brings a whole new meaning to “boo at the zoo”. So disrespectful! It mentions it was a “paupers cemetary” with mostly unmarked graves. I wonder if that’s how they justified it. I think it’s awful. I’d be curious to look at the register at the Birmingham library. You can actually search it online. It’s fasinating. You can search by cause of death…it will break your heart how some of the children died. I had no idea that Alabama was part of the Revolutionary War! This is so very sad! How could any human being witha soul allow this to happen. It was the help from Mountain Brook. We got married at the Botanical Gardens. Guess we had more wedding guests than we realized. There were a few pictures that were odd l will have to look closer. lol! l would have liked to know this, so l could have had a choice. smh. Makes a good story for your 75 th wedding anniversary with your great grandkids. Best wishes and a long, happy life. 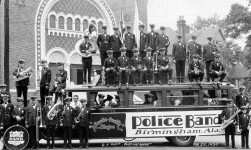 Try contacting the Birmingham Public Library here. http://www.bplonline.org/ They have wonderful genealogy records and could probably connect you with someone to assist you. 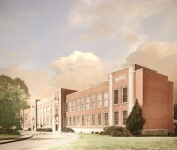 Samford University in Birmingham at this link https://familysearch.org/learn/wiki/en/Samford_University_Library could probably helps as well. Good luck! That is what I want to know….remembering some projects from before my husband retired! Umkay, nothing to “get over”, just a commentary on the true value system of commerce and capitalism. Land more valuable in another way. Why did they build on top of graves??? That’s disrespectful! Jo Dale! Your old house probably had haints! Bryce Oglesby this soldier in this article is your 5th great grandfather. You need to read this. I am a douser if anyone wants to know. What I don’t understand is how do you build a business, a house or even a flower garden without digging up body parts?? I have a garden in my yard (I live in Gardendale) that I used a tiller on and I would hate to know that if I lived in the zoo area that I could be digging up a grave. The bottom line is that money is stronger than respect for the dead. Dead is dead and I dont care if you can build over a cemetery after 99 years it’s still wrong and not having respect for people that have passed on. I believe this world will come to an end long before we run out of cemetery plots.